Let’s begin the hype train. 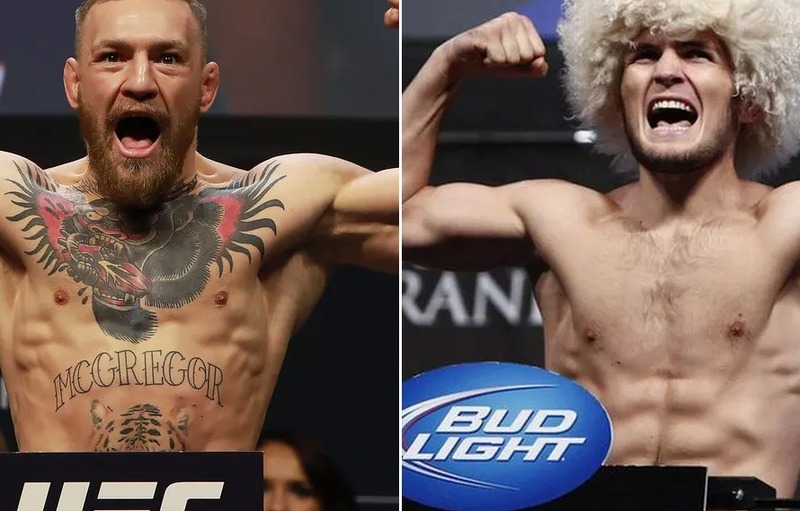 The UFC has finally announced the first press conference for the upcoming UFC 229 PPV event featuring UFC lightweight champion Khabib Nurmagomedov and former two-division UFC champion Conor McGregor. The promotional presser for the blockbuster card is set to take place on September 20, at 5 p.m. ET from Radio City Music Hall in New York City. We can expect plenty of heated exchange between Mcgregor and Khabib. The UFC announced this news in a press release on Wednesday afternoon. The most surprising part of this event is that press conference is strictly for credential media not for the general public. The highly anticipated bout between Khabib and McGregor is coming to fruition following UFC 223 bus rampage, which led two fighters ended up in the hospital and three fights scrapped off the card. After all the turmoil, Mcgregor accepted a plea deal on assault charges. Mcgregor last fought inside the Octagon where he earns a lightweight title after defeating Eddie Alvarez back in 2016, that made him the first fighter to hold two titles in the two weight classes simultaneously. Then in August of 2017, Irishman crossover where he came up short in a headline-dominating boxing match with undefeated pugilist Floyd Mayweather Jr.
Khabib Nurmagoedov last fought at UFC 223 back in April where he defeated short notice, Al Iaquinta, to capture the UFC lightweight title. The strap was quietly stripped from the McGregor on the same night. With the win, ‘The Eagle’ stretched his record to 26-0 overall. UFC 229 fight card, which is set to go down at T-Mobile Arena in Las Vegas on Oct. 6 and it airs on pay-per-view (PPV) following a preliminary card on FS1 and UFC Fight Pass. UFC president Dana White declared this showdown might be the biggest in the history of the UFC as well predicted that it would exceed 2 million buys.